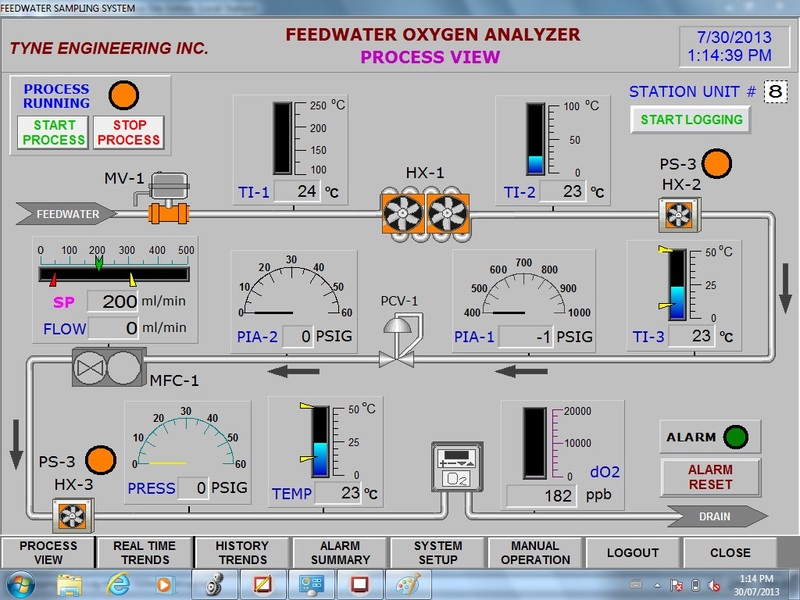 Nuclear power plant control and instrumentation systems. Instrumentation and electronic circuit design. 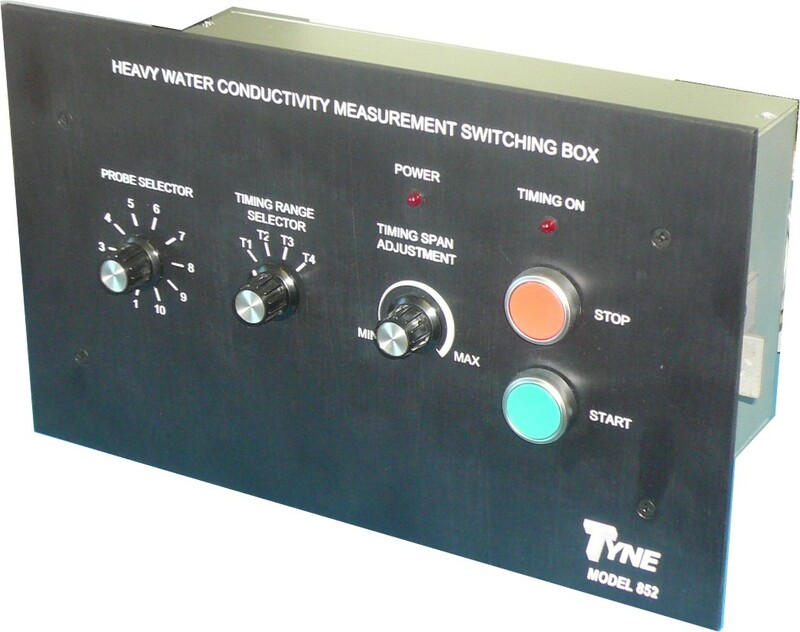 See Tyne's Model 7044 Response Time Monitor. Staffing services (through Prolet Staffing Services) in the fields of engineering, project management, and quality assurance. Many of the job placements are in the CANDU industry. Skid-mounted modularized systems of high cleanliness, low leakage, high temperature / cryogenic temperature. 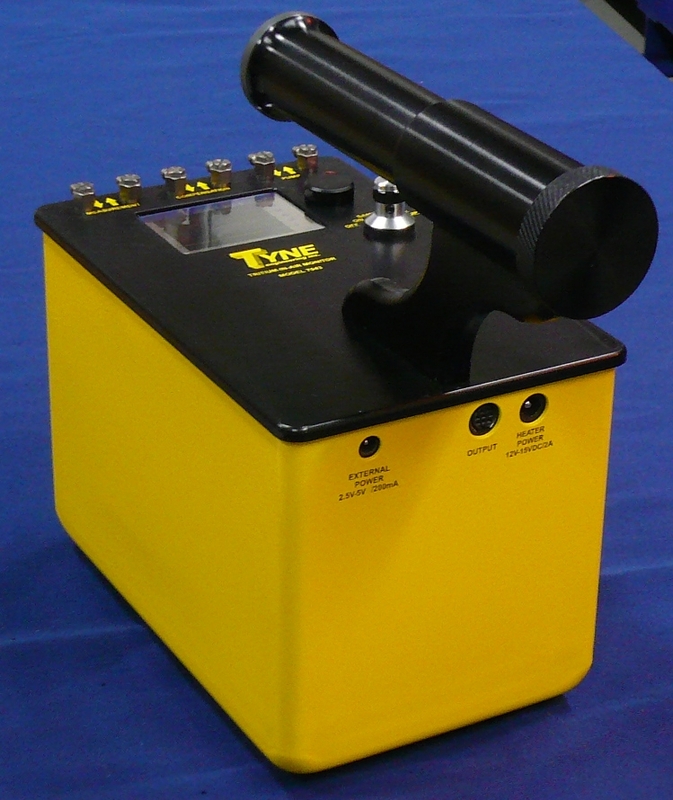 Tritium handling and radiation monitoring equipment. 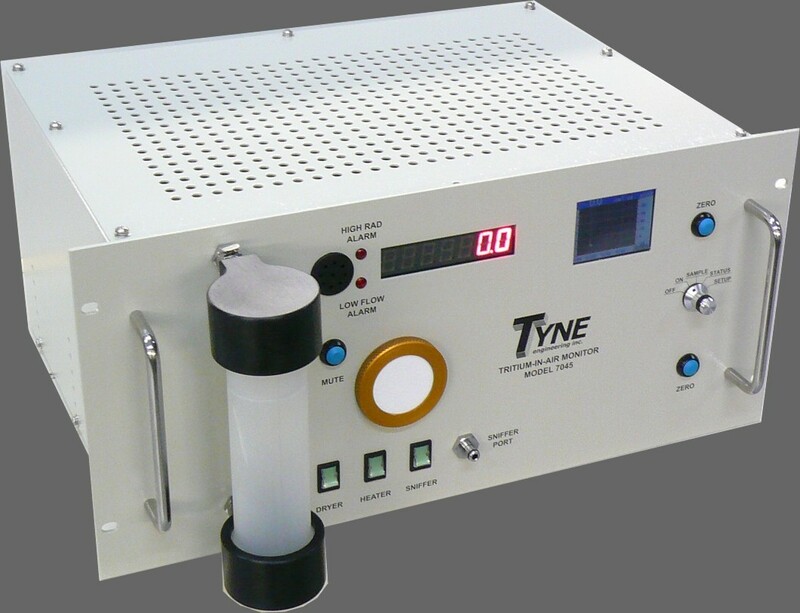 See Tyne's new Model 7043 Portable Tritium in Air Monitor. Purchasing, qualification, reverse engineering of obsolete / hard-to-find nuclear components. Quality Assurance is a vital part of Tyne's phylosophy and methodology. The following certifications make Tyne Engineering eligible to perform safety-related work for the Nuclear Industry in areas of design, procurement, manufacturing, testing and servicing. 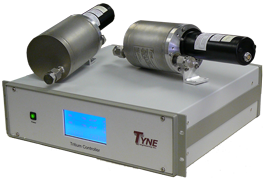 Tyne complies fully with 10CFR50 Appendix B and has been audited to ASME NQA-1 Nuclear Quality Assurance Program. Due to the varied scope of Tyne’s work, we have developed a Quality Assurance System with inherent flexibility for jobs of different sizes, types, and Quality standards. Every project starts with a Project Plan that lays out key Quality requirements and which may reference a separate Project Quality Plan if necessary. Tyne has separate Quality Manuals for work on nuclear and non-nuclear pressure vessels and pressure / chemical piping. Tyne is certified by the Canadian pressure vessel authority to perform work to ASME VIII Div 1 and ASME III pressure codes. Tyne Engineering is also licensed by the Canadian Nuclear Safety Commission to handle depleted uranium. In addition to the above certifications, Tyne Engineering has extensive experience working with a wide variety of codes and standards from our in-house library including ISO, ASME, CSA, TUV and many other codes and standards. Tyne is setup to apply efficient project management to projects of vastly varying size and scope. All aspects of the project are planned out at the start including Quality Assurance and Code Requirements, selection of effective project teams, adherence to schedules, control of subsuppliers, etc. Tyne is accustomed to working to tight schedules and to fixed price contracts. Tyne’s design activities are carefully planned out as part of the Project Plan (mandatory for every project) and Design Plan (optional depending on project complexity). Tyne’s personnel are typically involved in initial project meetings, assisting clients with conceptual designs, contributing ideas and suggestions, and studying alternatives. Tyne then converts the design concepts into detailed system designs, providing flowsheets and schematics, assembly and manufacturing drawings, circuit board design, design calculations, Spec Sheets, etc. We also provide conventional design documentation such as design manuals, test documentation, maintenance and operating manuals. Design activities also include Safety and Licensing, and Reverse Engineering. 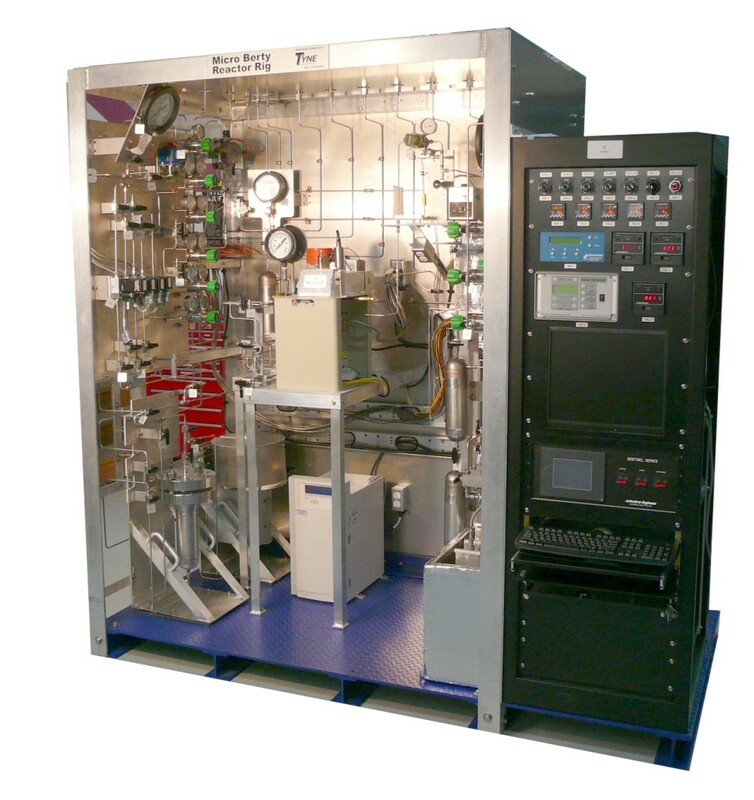 Custom Design / Build of Pilot Plants for Hydrogen, Oxygen, Tritium Service, etc. Tyne’s manufacturing facility is well controlled, clean, and is suitable for use in the manufacture of high vacuum / low leakage stainless steel systems and electronics. We have qualified welders on staff performing TIG, MIG, SPOT, and Automatic Tube Welding. We have personnel with specialized knowledge of high pressure and temperature systems as well as vacuum and cryogenics. 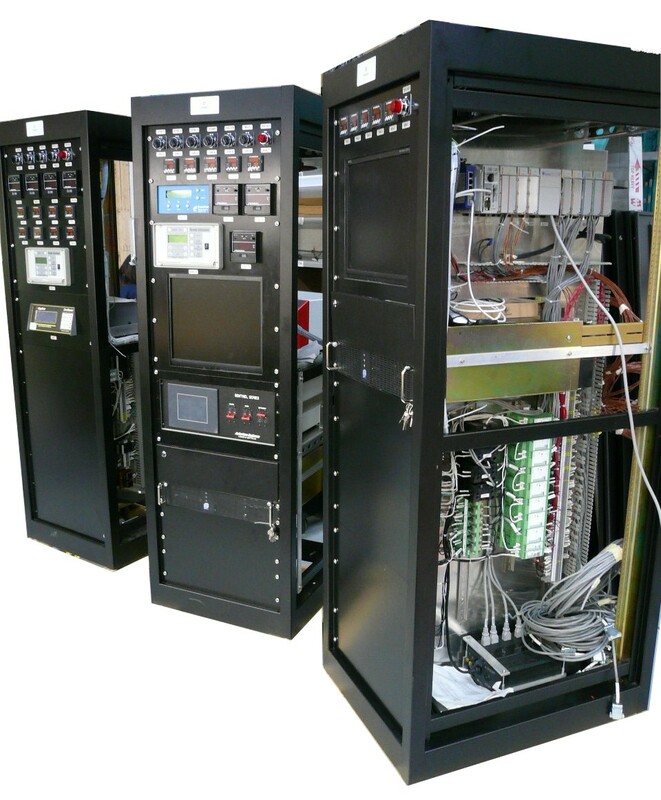 We are familiar with manufacture and modification of complex circuit boards and electronic modules. 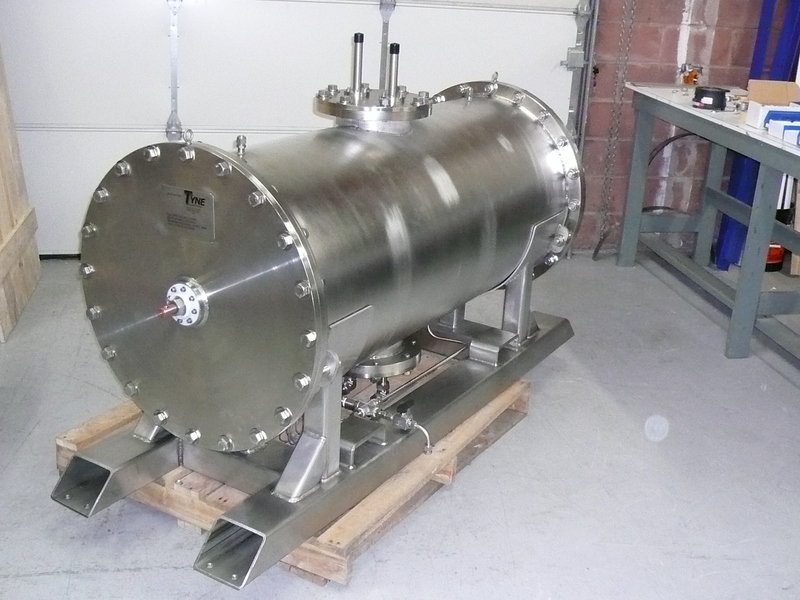 We have good knowledge of materials and sealing techniques for systems designed for hydrogen and oxygen service and/or radioactive substances. Tyne’s manufacturing work is tightly controlled with detailed workmanship standards and procedures. Qualified independent inspectors monitor work throughout the manufacturing process. Tyne carefully plans inspection and test activities. Expected results, authorized inspectors, and customer witness and verification points are identified on the Inspection and Test Plans. 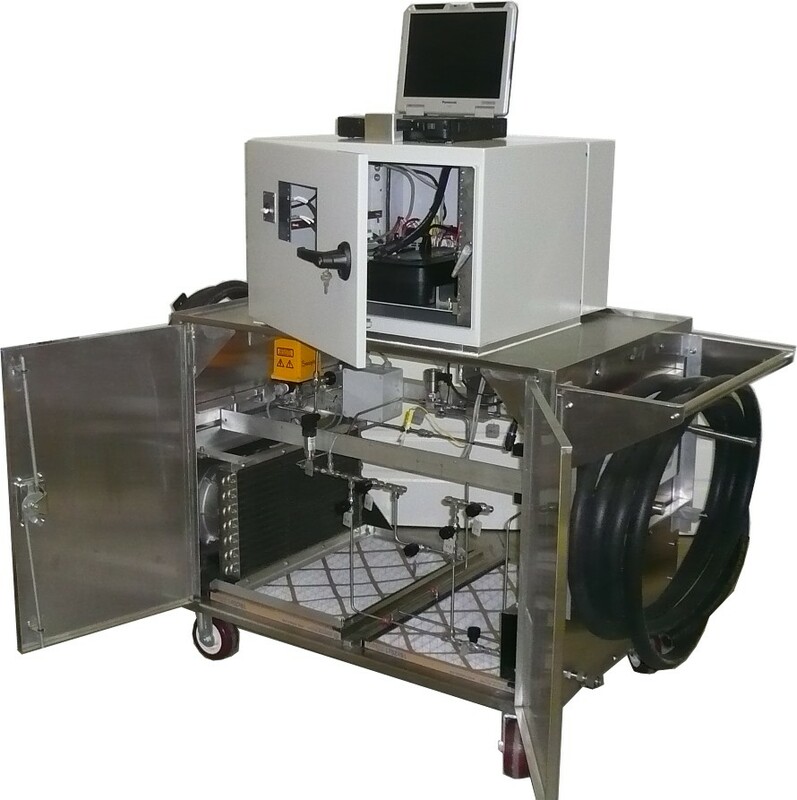 We employ an array of existing measuring and test equipment, and also design and manufacture new test equipment as required. Where testing requires special facilities, as is the case with NDE, Tyne subcontracts this work to established partners. 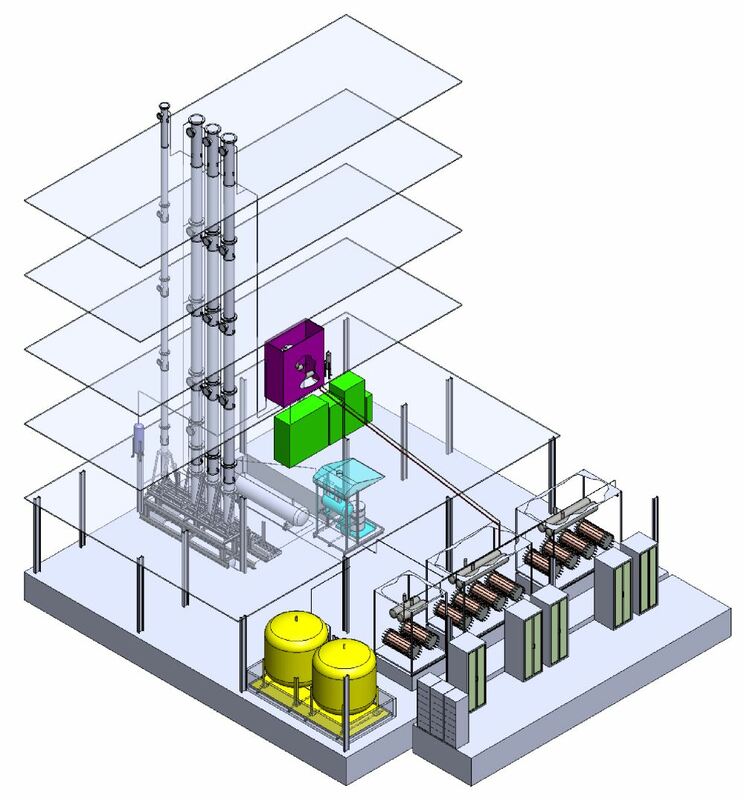 Design and registration of skid-mounted process systems – AECL CRNL. Design and manufacture of Data Computer Center (DCC) cable assemblies for Bruce Nuclear Power Plant. In Core Amplifier for flux monitoring and nuclear start-up instrumentation. Nuclear safety-related power supplies for Emergency Shutdown System #2 and Data Computer Centers. Calibration of Remote Temperature Detectors – Bruce NPP. Tritium laboratory design. - Korea Hydro and Nuclear Power Corp.
Tyne is ideally suited as a supplier and partner to larger organizations in the field of Commercial Grade Dedication, Reverse Engineering, and general nuclear-related design and manufacturing. Fast response to opportunities. Tyne is able to mobilize quickly and efficiently. Experienced staff. Tyne has a broad base of experience and thus can contribute to a variety of technical disciplines. Flexibility. Tyne is flexible in its relationships with customers and partners. We are interested in finding the optimal division of work to make Tyne and its partners as competitive as possible. Location. Tyne is located in close to many key customers including Bruce Power, Darlington, Pickering, AECL, SNC Lavalin. This greatly improves the efficiency of our partnerships. Ability to mobilize large numbers of staff quickly. Tyne is 50% owner in Prolet Staffing Services, allowing us to quickly locate and place Engineers, Scientists & Technologists with specific CANDU experience. Tyne has sales agents in Korea, Romania, Canada, China, India, UK, France, and other locations. Proposals and estimating. Tyne has extensive experience in technical writing and estimating for a broad range of projects. This enables Tyne to work quickly and efficiently to submit bids and proposals as opportunities arise.